Unlike commercial artists or painters whose primary focus is to sell, I put so much of my emotions into a painting and somehow people can tell. 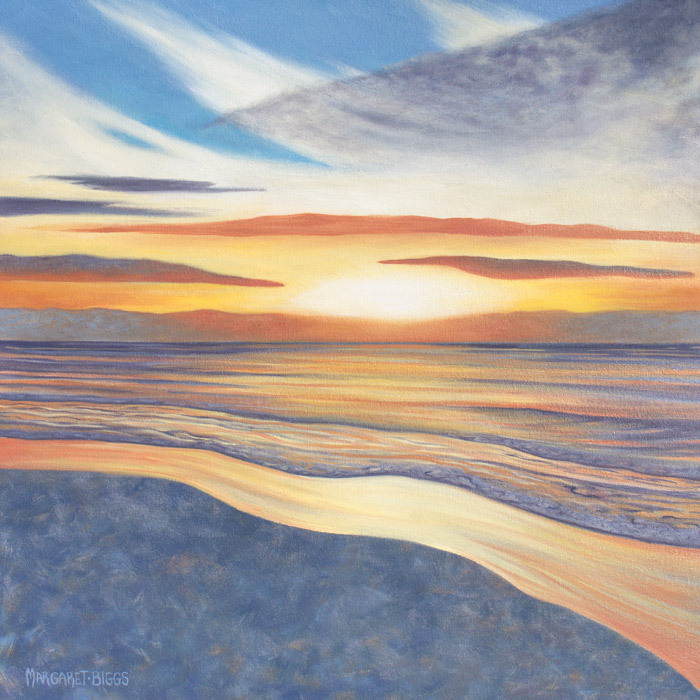 I remember years ago, a stranger entered my 10×10’ festival booth saying “My gosh, this feels as though I am walking into a cathedral!” That was when I learned that my desire to imbue my paintings with an element of peace was successful! Sometimes I would paint a specific scene or subject because I thought it would sell. Though it always would, these were never my strongest works. I have a very strong need to feel inspired. So though I may have a canvas built for a specific painting, I may change my mind and paint something different. With hundreds of photos I have taken to use as inspiration, I have a lot to choose from! Perhaps this is just a part of the process for me. Once the composition is laid out and the palette has been chosen, I cannot wait to get to the easel. My process may be a bit slower, but there is one thing you can be certain of, I put my heart into it!